There’s unusual power in a personal invitation. Have you ever considered why? I’m certain that many factors can be at play, but here are three. First, a genuinely personal invitation is typically a significant affirmation of the person who is being invited. A personal invitation says that you are not overlooked. You are noticed and valued. There is a desire for you to be included. Second, a genuinely personal invitation is usually accompanied by a significant investment on the part of the one doing the inviting. It means: I’ll be there, and I want you to join me. I’ll show you the ropes. I’ll introduce you. I’ll provide the tickets or pay for the meal. I’m investing some of my personal, social, or financial capital in you. Third, a genuinely personal invitation is almost always a statement about our assessment of the value of the occasion that prompts the invitation. It’s an event you don’t want to miss. It’s a party you will surely enjoy. It’s a movie I think you will like. It’s a meal that will be long remembered. It’s a relationship I hope you will value. It’s a worship service that will nourish your soul. It’s an environment where you will experience encouragement and growth. We usually invite others to join us only when our confidence in the quality of the occasion is high. 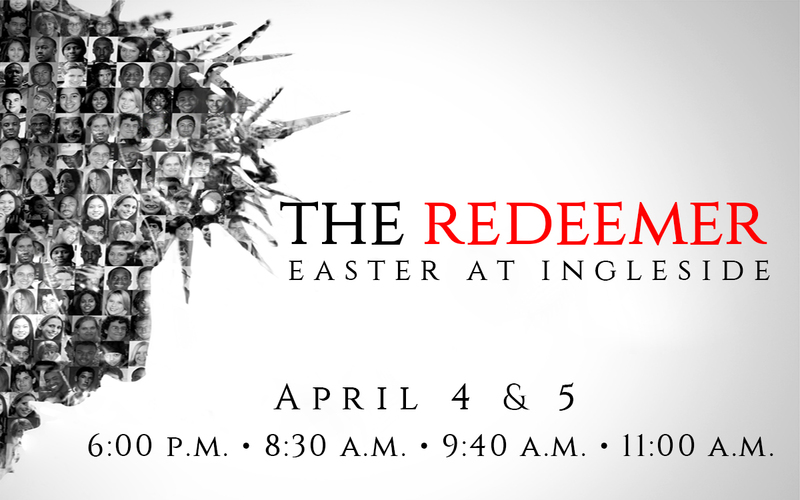 This Easter weekend, I hope you will offer a genuinely personal invitation to someone you care about to join you at Ingleside as we celebrate the resurrection of our Redeemer, Jesus Christ. There’s power in your personal invitation!